Play: Michigan State Spartans -12.5. If you’re looking for a low scoring defensive battle tonight in college hoops, put the Spartans and Nits on your agenda. 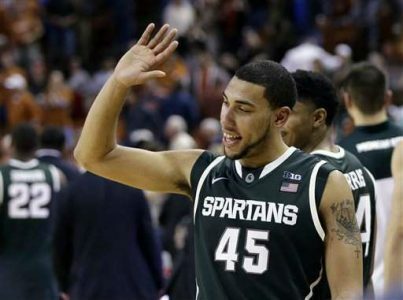 This series has been dominated by the Spartans grinding four straight wins, while going 3-1 ATS in the bank. MSU averaging 80 points per game L4 in the series with an average winning margin of +15.0 ppg…Michigan State complicates the Penn State issues with the #73 ranked scoring defense holding the opposition to 61.9 points per game. In the series at East Lansing the Spartans have been dominated ATS with a 7-3 ATS mark. Overall the series has home units running RED HOT @ 6-1 ATS. Tough number, but Nits shooting deficits usually come full circle on the road…Good Luck. IF YOU ARE SERIOUS PLAYER NOW IS THE TIME TO PURCHASE OUR FULL-SEASON DISCOUNTED COLLEGE PACKAGE.